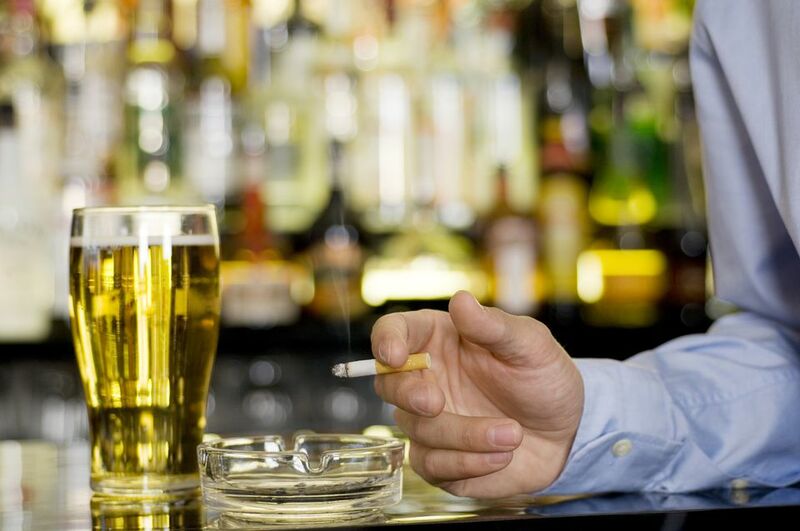 Through various loopholes in the current smoking legislation, these bars continue to offer solace to those who want to enjoy a Marlboro with their martini—and not just on the patio. Most are cigar bars, which by definition, must have opened prior to December 31, 2001, have 10 percent of their revenue coming from the sale of tobacco products, and have 60 percent of their revenue coming from alcohol sales. Establishments must also apply for certification from the Department of Health and Mental Hygiene. The only cigarette bar in Manhattan will continue to be a smoker-friendly destination. With their state-of-the-art ventilation system, you can continue to light-up your Camels or even try one of their more exotic smokes. Karma offers a variety of flavored tobaccos for smoking out of its many hookahs, and also allows cigarette smoking. Located in the heart of midtown (just steps from the New York Public Library), the Nat Sherman store sells an extensive array of cigarettes, cigars, and accessories. It also has a room for smokers. Subway: B. D. F, M to 42nd St.; 7 to Fifth Ave. This Upper East Side cigar bar features a state-of-the-art ventilation system and lots of leather and mahogany furniture. This Upper East Side bar and lounge strictly enforces its dress code and caters primarily to neighborhood residents. This West Village cigar bar claims to be the first dedicated cigar bar in New York City. It sells a variety of cigars and charges a cover if you don't make a tobacco purchase. Sugar East has a brandy bar and cigar lounge that permits smoking, but the rest of the bar/restaurant is smoke-free.